We welcome Fred Harris to the band. 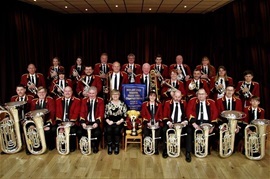 Fred previously played with another local band and has now decided to join Corby Silver Band to further strengthen the front row cornet section. We would like to welcome John Jones to the band. This is great news for the band, as John has filled the BBb bass vacancy, a position which has been vacant for some time. Welcome to Corby Silver Band John. We wish you a long and happy association with the band. Just need to work on getting a full time percussionist now and the band will be complete. On Saturday 19th May, the band took part in the Midlands Beer and Brass on the Grass entertainment contest. We were competing against 5 other local 3rd and 4th section bands. Our repetoire included Prismatic Light, Skyfall and the bass feature Aint Misbehavin'. The adjudicators obviously enjoyed our performance as we were awarded the 2nd place trophy. Enjoy our performance at the Midlands Beer and Brass on the grass entertainment contest. In order to complete our band we have immediate vacancies for percussion players. We would also like to recruit an assistant principal cornet player, to further strengthen our front row cornet section. We say goodbye and good luck to tenor horn player Mark Asbrey, who is moving to Norwich with his family. Unfortunately the 2 hour drive will just be a bit too much for him to attend rehearsals. This does mean that one of our 2nd horn players Darcy Christie will now be promoted to 1st horn following Mark's departure. We would like to welcome Melanie Bones to the band. Melanie had previously played with the band for a short time ago, but has now joined us permanently as a full time player in the trombone section. We say goodbye to our percussionist Joshua, who moves on to pastures new playing in a higher section band. Although it's not a final goodbye as Joshua still regularly deps for the band whilst we recruit a new kit percussionist. Solo cornet player, James Wilson has also moved on to a higher section band, but like Joshua, still regularly helps the band out as a dep at some of our summer concerts. Finally, we also say goodbye to bass trombone player Andy Brewer, who has decided to explore other playing opportunities. We would like to officially welcome Suzy Dawson to Corby Silver Band. Suzy is a very experienced player, who until recently played mainly on tenor horn and also provided support to the percussion section in another local band. Suzy made a decision to learn the trombone, and had been attending some rehearsals at Corby as she gained confidence and improved her playing on trombone. She has now accepted the 2nd trombone seat and has become a full time member of the band, as we continue to prepare for the area contest in March. 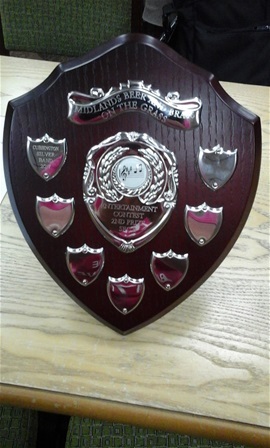 Corby Silver Band is now graded as a 3rd section band, following our 1st place win at the Midlands area contest last March, meaning we are currently the Midlands Area 4th section champions.